The Ballroom has a 2,400 square foot floating floor for public dancing and two other smaller teaching studios. A Step to Gold International Ballroom offers a wide variety of instruction and social dances accompanied by music of the Big Band sounds, Ballroom, Shag, Swing and Latin. A Step to Gold instructors make sure students have a friendly, fun and supportive learning experience. Offering classes from the very beginner to the advanced competitor we know how to have a good time. Their students rave about how much they enjoy the positive learning environment and special events. One meeting space is available during the day until 6pm Monday thru Friday and the entire facility is available evenings on Friday and Saturdays. The capacity is 225 and can seat 180 in the larger 2,400 square foot space surrounded by windows and a balcony. Special lighting creates a very romantic atmosphere. 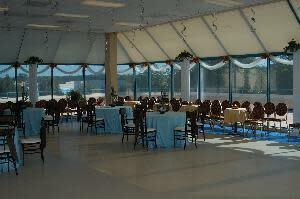 They also have an events coordinator that can make sure your event is organized on their end.